As a student juggling work, study, family and social commitments is challenging and we need to manage time wisely says Eric Ongoa George after graduating with a Postgraduate Diploma in Commerce. 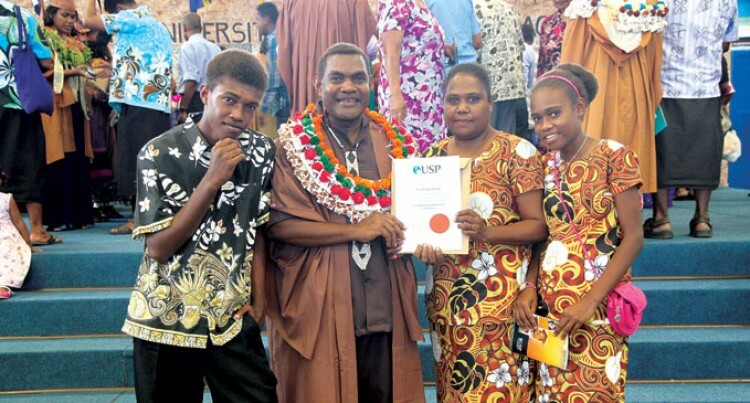 Mr George, from the Solomon Islands, was among the 840 students who graduated from the University of the South Pacific (USP) at the Vodafone Arena, Suva yesterday. “I’m really excited to graduate and this is a very huge achievement for me and my family,” Mr George said. He said he was living with his wife and four children and at times it was very challenging to manage his time. Mr George said time management was very important and one of the vitals to success in studies was support from the family. He said he strongly believed that education was an investment in human capital and it could have a great impact on a nation’s growth and development. Mr George is currently pursuing his Master of Commerce degree at USP.